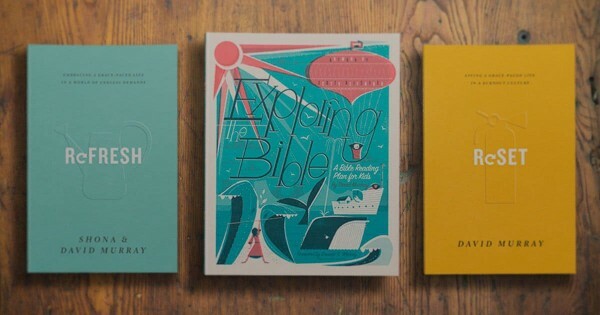 How Can I Get my Kids to Read the Bible? Within the next week, I’ll be launching a weekly Exploring the Bible video to encourage kids to read the Bible for themselves. The short weekly video will review the week’s Bible readings and chat about the weekly discussion question. Why not join us by getting the book (RHB) and making 2018 the year you start your kids on the holy habit of daily Bible reading? “How can I get my kids to read the Bible for themselves?” I’ve been asked that by many frustrated Christian parents. I’ve asked it myself! Yes, we read them the Bible, send them to Sunday school, take them to church, give them a Christian education, and all that. But how do we get them started at personal Bible reading? And how do we keep them going at it? Here’s what I’ve learned from my own experience and from talking with many parents and pastors. Christian parents must prioritize the Bible above all other subjects. Yes, there are many subjects to teach our children, but teaching them to study the Bible is the most important by far. And communicating that priority to our children is the first and most essential step in that process. By our own example of personal Bible reading, by reading of the Bible together as a family, and by regular attendance at a Bible-focused church, we are sending a message that will make teaching them to study the Bible for themselves so much easier. If they see that we clearly view the Bible as the greatest book in the world, it’s far more likely that they will want to read it for themselves. Dr. Martyn Lloyd-Jones, the famous London preacher, once advised Sunday school teachers that whatever else they taught their students, they had to communicate joy and excitement in their lessons. He said that the children may not remember all the details of what they taught, but if they consistently conveyed their own delight in and enthusiasm for the Bible, the children would be “infected” by that and pursue Bible study themselves. As we read the Bible with our kids and encourage them to read it themselves, let’s make sure that whatever else they remember, they remember our joy. Bible reading is not a “should-do” but a “get-to-do.” We get to hear God’s voice speaking into our lives for our good and the good of others. During one of my many attempts to establish regular exercise in my daily life, I came across research that said people were far more likely to establish a permanent exercise regime if they did it every day instead of just two or three times a week. The theory was that although doing something more often would seem to be harder than doing something less often, scientists had found that we are far more likely sustain an activity we do every day than one we do a couple of times a week. I tried it with exercising and found it to be true. Same goes for something like Bible study. Our children are far more likely to acquire the blessed habit of Bible study if we encourage them to do it at the same time every day rather than just a couple of times a week. Little and often is better than much and rarely. Same goes for daily prayer. When prayer is associated with something else, like daily Bible reading, it too will become a holy habit. Encourage your children to briefly ask for God’s help to understand what they read and to trust and obey it in their daily lives. When I was a child I tried many times to start daily Bible reading, but I usually faltered and failed within a week or two. Usually it was because I attempted too much. I tried to read too many verses a day and it just became too big a mountain to climb. We can help our children here by writing out a reading-plan for them of a few verses every day. Or use the plan in Exploring the Bible: A Bible Reading Plan for Kids which asks children to read only 3-5 verses a day. That may sound too little, but it’s do-able and kids are far more likely to stick at it. If they do, ultimately they will end up reading far more Bible than if they attempt and fail to read a chapter a day. I could never be sure if my children were actually reading their Bibles. I would ask them “Did you read your Bible today?” and they’d say, “Yes, Dad,” but how could I check that? That’s when I started asking them a simple question about the passage or to write out one of the verses. Then I could see if they were actually doing it and they couldn’t brush me off so easily. We would then get together every week, usually when we came home after church on a Sunday, and go through what they had written each day the previous week. That would then become the basis for further discussion and I’d try to answer any questions they had. Again, I tried to make it a fun time rather than an “examination.” This Q&A or interactive formula has been carried into Exploring the Bible and I hope it will form the basis for many family conversations about the Gospel. No matter what Bible book they are reading, these are the two questions that will turn a mere routine into a pursuit of God and of eternal life. When we discuss their Bible reading with them, let’s frequently ask them these two great life-or-death questions so that they will start asking these questions themselves. This is looks great, thank you! Where do I find the weekly Exploring the Bible video?? The first weekly expedition video will be published on Friday on my blog and on my Facebook page.